This Cupla complies with diversified applications in liquid or gas transportation. End-face seal structure enables no bumps or hollows on the internal fluid passage, and ensures smooth fluid transportation. “Special lip seal” adopted (except 3/4”, 1” sizes and silicon rubber seal) for light lever action and tight and sure sealing when connected. 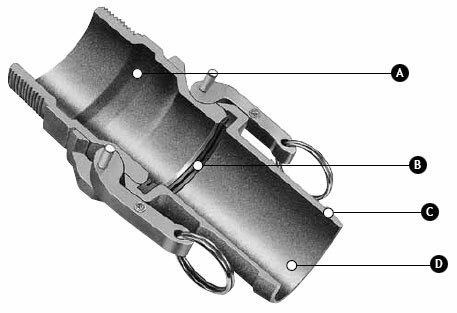 Connection part dimensions comply with US military specifications MIL-A-A-59326. The variety of body materials, sizes and end configurations has been standardized to comply with wide range of applications. 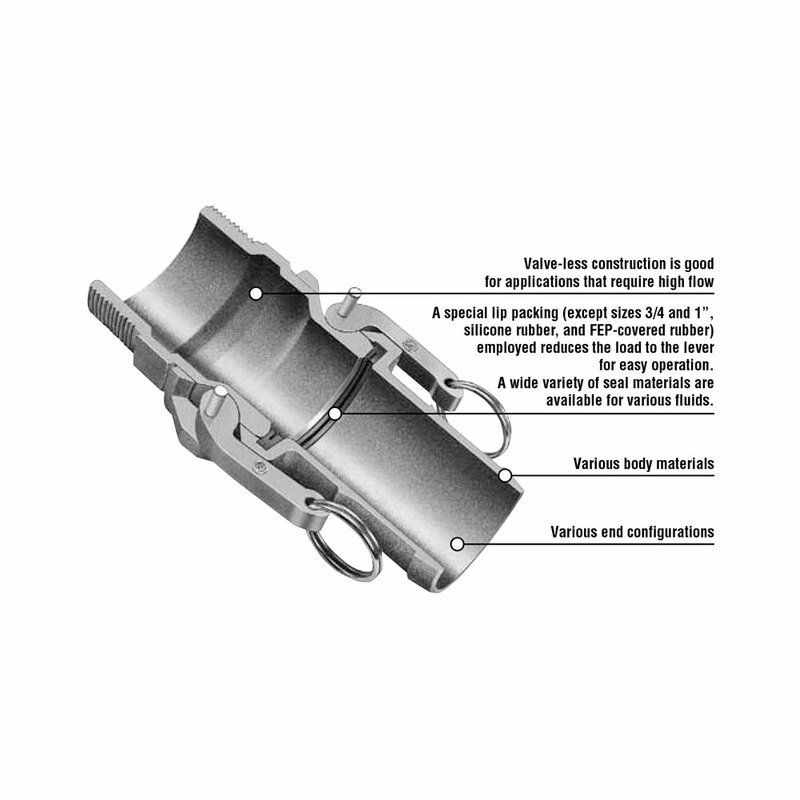 Additional stopper function design will enhance safety (made-to-order product). 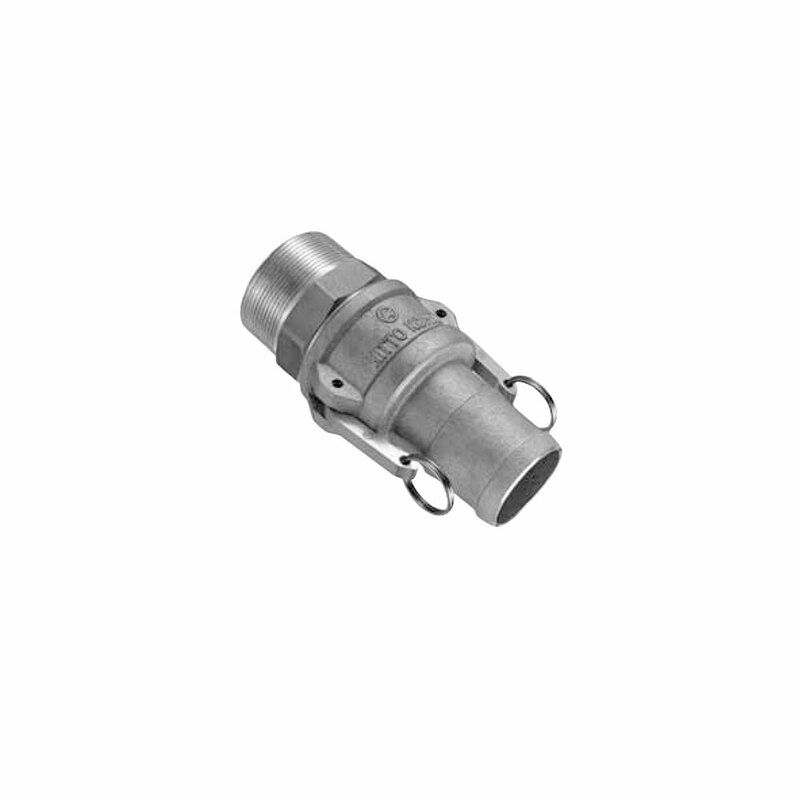 socket without fail ready to flow liquid or gases. and FEP-covered rubber) employed reduces the load to the lever for easy operation. 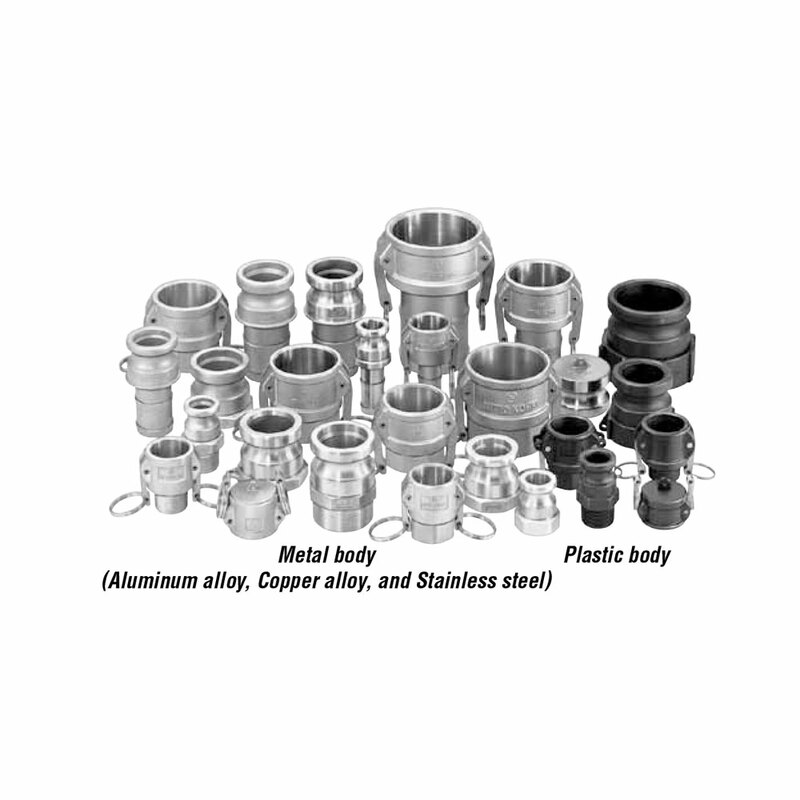 A wide variety of seal materials are available for various fluids. Same size sockets and plugs are interchangeable regardless of their end configurations. Connection part dimensions are in compliance with MIL-A-A-59326.